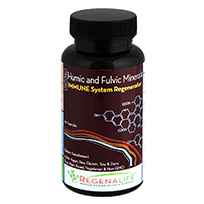 38 Immunity Ingredients, Natural Detox, Cleansing Support, Immune System Booster, Cellular Regeneration, Weight Management, Digestion Support, Optimum Alkalinity and pH Balancing, Cardiovascular Health, High Levels of Phytonutrients including Chlorophyll, Powerful Seas Vegetables, Anti-Aging Free Radical Scavenger, 215% Vitamin C, Higher Body Oxygenation, Energy Enhancer, Mineral & Iodine Support. 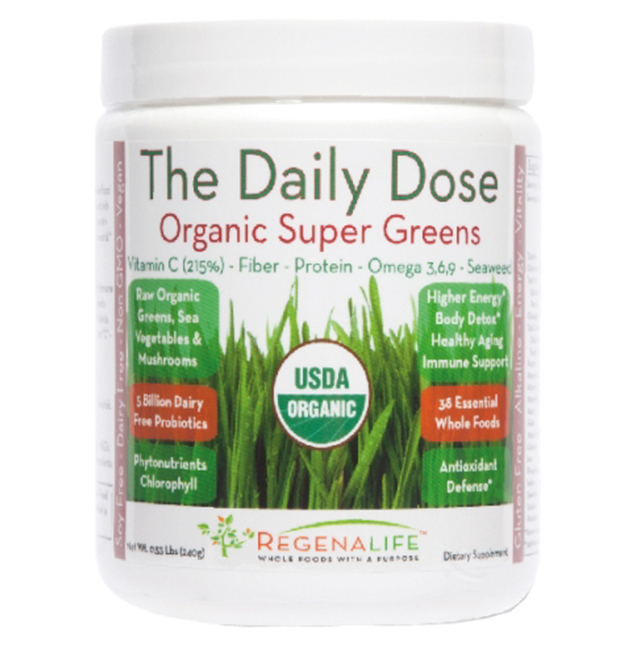 Nutrition from our Daily Dose Organic Super Greens contains vital ingredients such as fiber, flaxseed, medical mushrooms, spirulina, chlorella, kelp, fucoidan, cruciferous vegetables, and a vital 215% of Vitamin "C" RDA per serving. 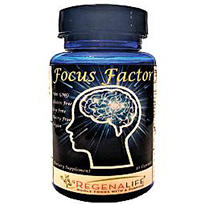 Antioxidants - The Daily Dose is Loaded with a complete antioxidant formulation to fight free radicals. 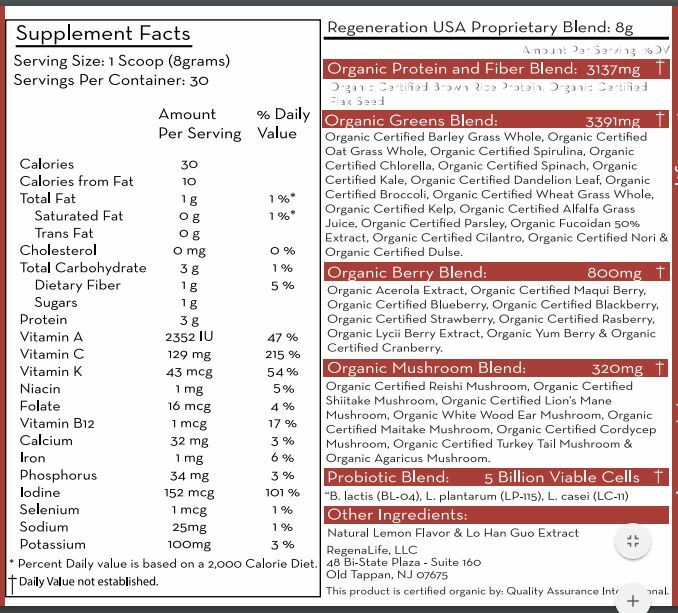 Weight Loss - Adding nutrition from green superfoods can help with weight loss, because the greens nutrients will help to curb your appetite. 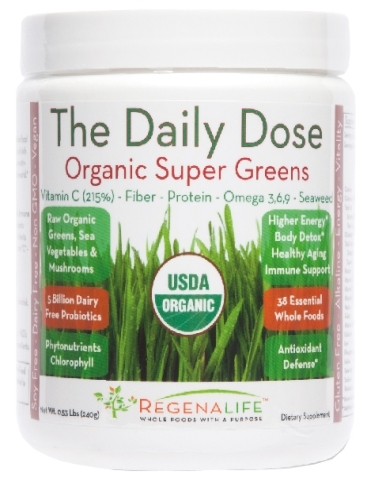 Daily Dose Super Green is a well designed natural product that supplies me with ingredients that I need each day. 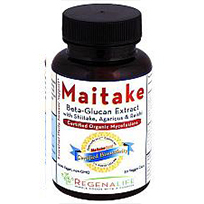 My energy level has gone through the roof and I feel younger at 70 years old than I did before. 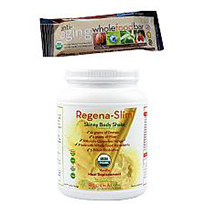 Keep killing it Regenalife with these amazing products. - Joel H.